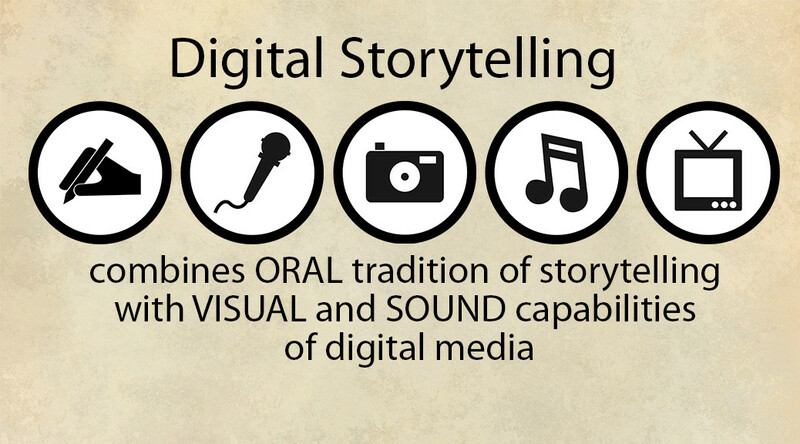 Digital storytelling is the process by which diverse peoples create and share a story of personal relevance using digital media tools. Its roots began in 1970s and 80s when arts practitioners and educators across disciplines challenged the notion that art should be reserved for the gifted or the professional. Recognizing that lay practitioners could make enormous creative contributions, pioneering artists wanted to make art accessible to all, especially those traditionally left behind. The emerging digital technologies of the 1990s offered new tools for expression and fertile ground for experimentation. Drawing on these new practices, a group of San Francisco Bay Area media artists and designers came together to explore how digital media tools could be used to empower personal storytelling. As numerous collaborators exchanged ideas and found common ground, a partnership took shape. Dana Atchley, a media producer and interdisciplinary artist began collaboration with local theater producer Joe Lambert. They soon discovered that people with little or no prior experience in multimedia could create powerful personal stories using the new digital media technology. In 1998, the San Francisco Center for Digital Media moved to Berkeley and became the Center for Digital Storytelling. In 2015, the organization became, simply, StoryCenter. Today, merging traditional storytelling with digital tools is practiced worldwide in education, public health, and the arts.